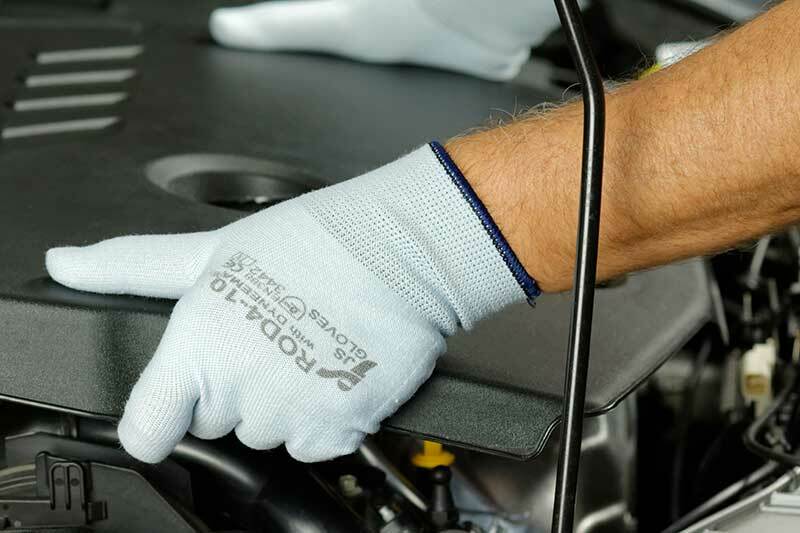 Knitted, seamless safety gloves having special, flexible construction, made of the state-of-the-art fibres: polyester / polyamide / technical fibre. The most recent knitting technology ensures the highest protective parameters, guarantees decidedly longer time of use and unprecedented comfort of work. Intended both for heavier and light assembly works. They are widely used in all work stations where handling of sharp objects is required. The ROC3A antistatic version complies with the ESD* requirements in accordance with the EN 1149-1 standard, preventing accumulation of charges that might damage electronic parts. Version with PVC dots on the inner side of the palm (letter V in the product symbol) improves the grip and facilitates handling of objects. We present a new line of knitted, seamless safety gloves, designed with the use of the Dyneema® Diamond Technology fibre in order to ensure the highest protective parameters, guaranteeing a decidedly longer time of use, as well as exceptional comfort and dexterity at work. 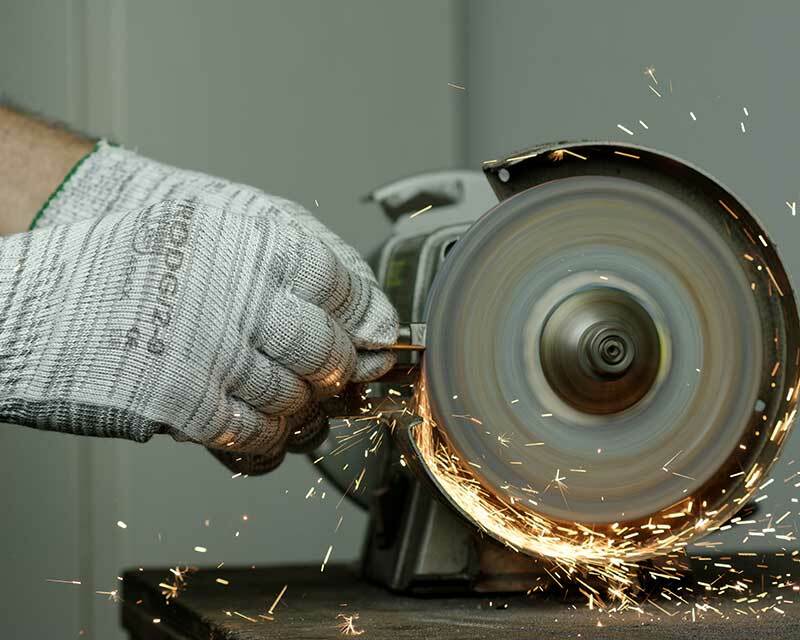 Dyneema® Diamond Technology is an improved Dyneema® fibre, significantly increasing the anti-cut properties of the gloves without the necessity to use fibre glass. They are widely used in all work stations where manipulation of sharp object and higher abrasion resistance are required, as well as for heavier and lighter assembly works. Dyneema®, the world’s strongest fibre, used in the JS GLOVES products makes them able to meet the highest anti-cut and resistance requirements. 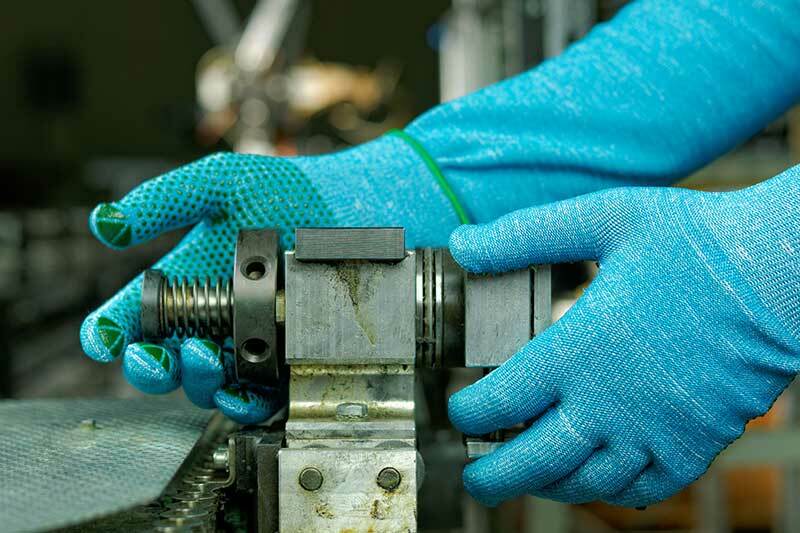 Knitted, seamless safety gloves made with the use of the Dyneema® fibre offer exceptional cut and abrasion resistance parameters, much higher than those provided for in the EN 388 standard. They guarantee decidedly longer time of use and very high comfort of work. Designed for heavier assembly works. They are widely used in work stations where manipulation of sharp object and higher abrasion resistance are required. Version with PVC dots on the inner side of the palm (letter V in the product symbol) improves the grip and facilitates handling of objects. 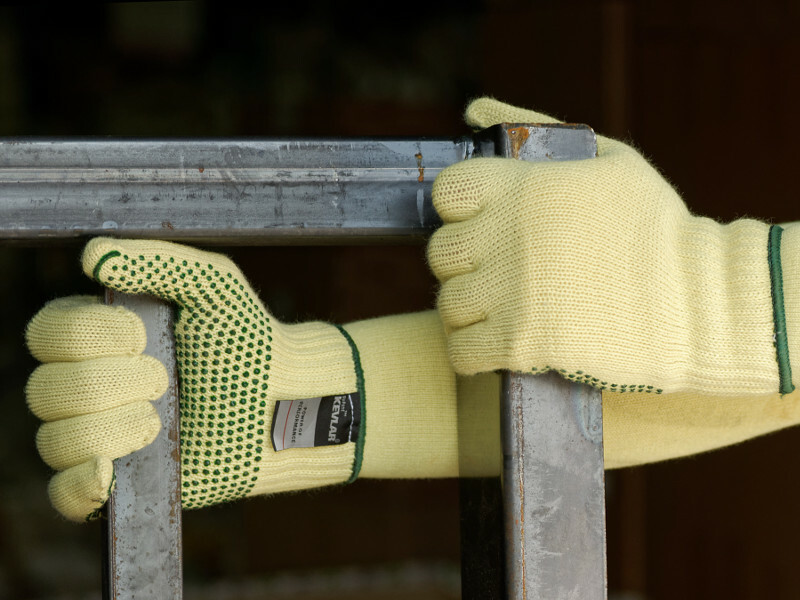 Knitted, seamless safety gloves made of 100% para-amid Kevlar® yarn by DuPont. The products of this line are characterised with high cut resistance and good protection against minor thermal hazards, while ensuring the highest comfort of work. They may also be used as liners for rubber, latex and other gloves. The Kevlar® yarn offers improved cut and abrasion resistance parameters; it is also skin-friendly and does not cause irritations even in long-term use. They are also available in open fingers version or in non-standard lengths. Version with PVC dots on the inner side of the palm (letter V in the product symbol) improves the grip and facilitates handling of objects. 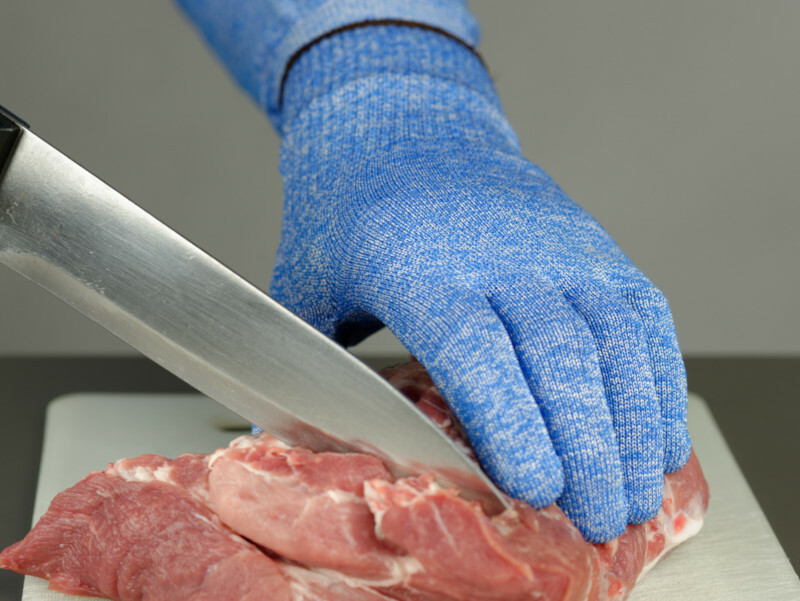 First series of seamless knitted protective gloves made from textured para-aramid filament yarn available on the market. They belong to the group of clean (dust-free) gloves and do not leave any traces on objects which they come into contact with. A wide range of applications due to the high comfort of use, breathability and good fit on hand. 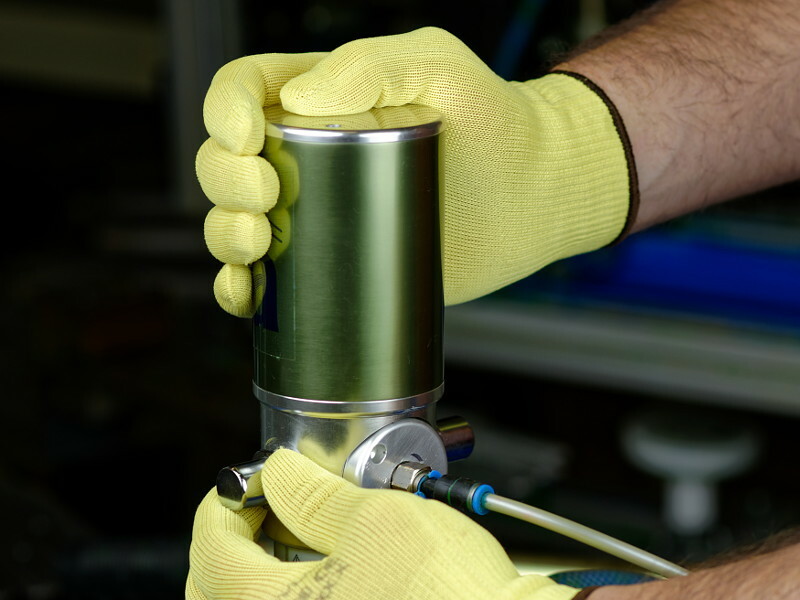 The gloves of this series ensure protection against mechanical, as well as thermal hazards. The ROKCL model is an exceptionally lightweight, machine-made, gauge 15 glove guaranteeing perfect feel and very good manuality. Version with PVC dots on the inner side of the palm (letter V in the product symbol) improves the grip and facilitates handling of objects.